Studying a mysterious heart condition in cats and humans is a team effort. 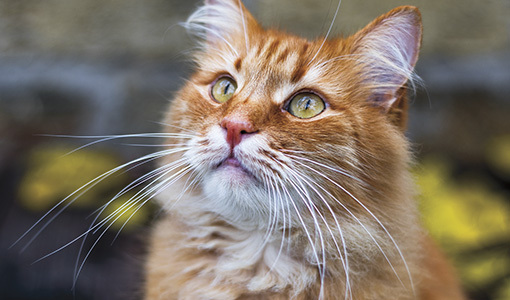 A disorder called hypertrophic cardiomyopathy, in which heart muscle becomes abnormally thick and dysfunctional, affects at least 1 in 10 cats. The disease is also a common cause of sudden cardiac arrest in young people, including athletes who die on the playing field. Although an echocardiogram can diagnose it in humans and cats—and implantable cardiac defibrillators can help safeguard humans most at risk—there’s no medication or therapy that stops or significantly slows the progression of heart failure. Tufts scientists working in both human and veterinary medicine now hope they can change that by encouraging interdisciplinary research—a strategy they outlined in the August 2017 issue of Cardiology Research.